Without doing any follow up research, this is what I remember from a Friday afternoon newscast. P.E.I. tourism turned a regularly scheduled flight into a P.E.I. immersion experience. Ann of Green Gables was on the flight and each person seated on the plane was given a iPod filled with P.E.I. video footage. Sounds expensive, right? Giving away iPods. But the interviewee said their budget was small and they had to be creative with their funds. My assumption is that this experience may have only happened once. Only the people on the flight experienced it first hand, but alas, national news picked it up and broadcast it's unique excitement to the Canadian masses. 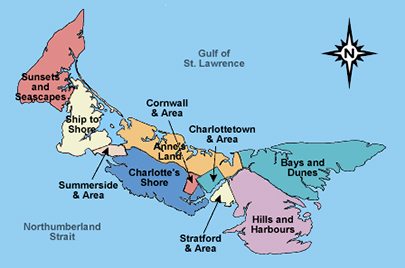 As a west coaster, I've never been to P.E.I. but it's on my radar. I'd like to go, and stunts like this keep it top of mind. What do you think? Would you risk putting so many dollars on one event? Can you count on earned media? How do you measure it?